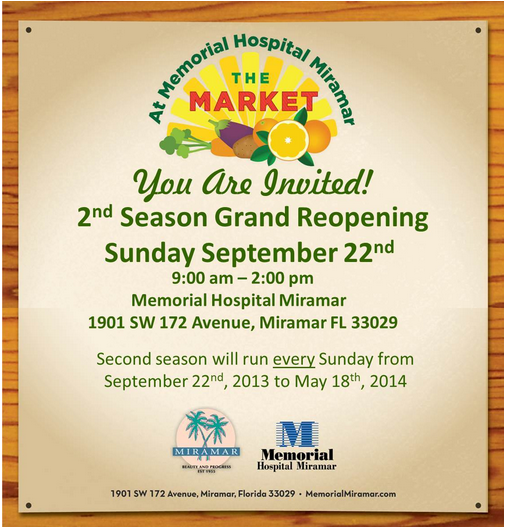 On Sunday, September 22, 2013, THE MARKET At Memorial Hospital Miramar will reopen for its second season. The Market will be open every Sunday from 9 am until 2 pm through May 18, 2014. Here is the flyer from the newsletter the city sent me.